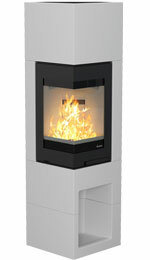 Designed with modern homes in mind, the Q-34 corner cassette fire features a desirable left or right hand (depending on model) aspect view of the flames. 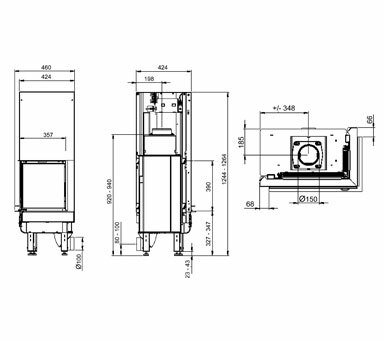 With its guillotine style door, the Q-34 bears the same 6kW heat output as its Q-23 companion and has a high efficiency of 78%. 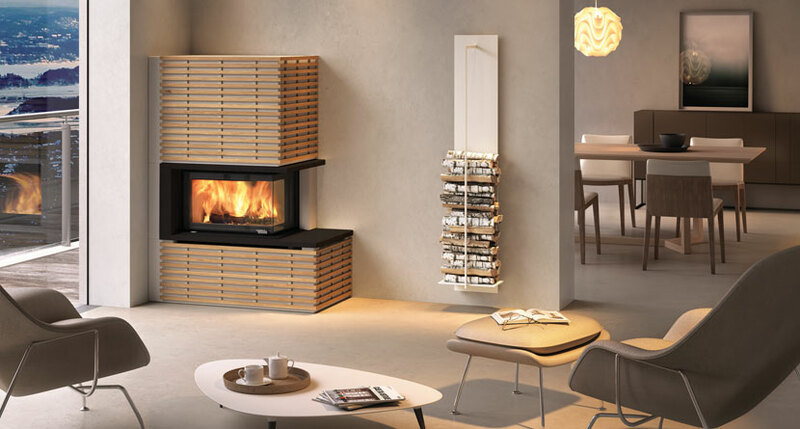 Specifically designed to show off the dual aspect viewing area to the maximum, the Fargo is a beautiful surround perfect for the Q-34 corner cassette fire. With a waxed concrete finish, the Fargo surround can be personalised by either any paint colour of choice or with the smart oak panelling to create a contrasting fascia. 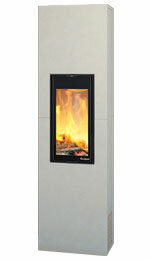 Also available with a choice of either white marble or granite integral slips, the Fargo really does offer a unique finish to an already stunning fire. 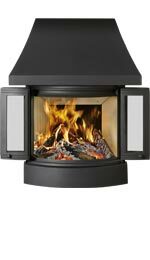 Can either be built into a fireplace or combined with an optional canopy to create a stunning centrepiece for large fireplace openings and inglenooks. Easy installation in the home; whether in a corner, against a straight wall or freestanding in the middle of a room. 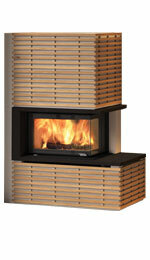 An elegant wood burning fire suitable for modern, energy efficient homes.